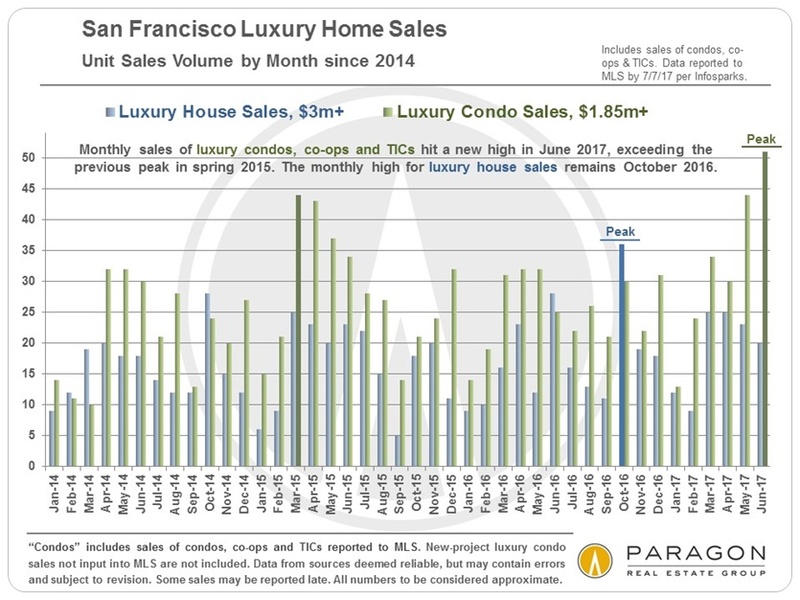 After hitting new monthly highs in May, San Francisco houses and condos hit new quarterly peaks in Q2 2017. 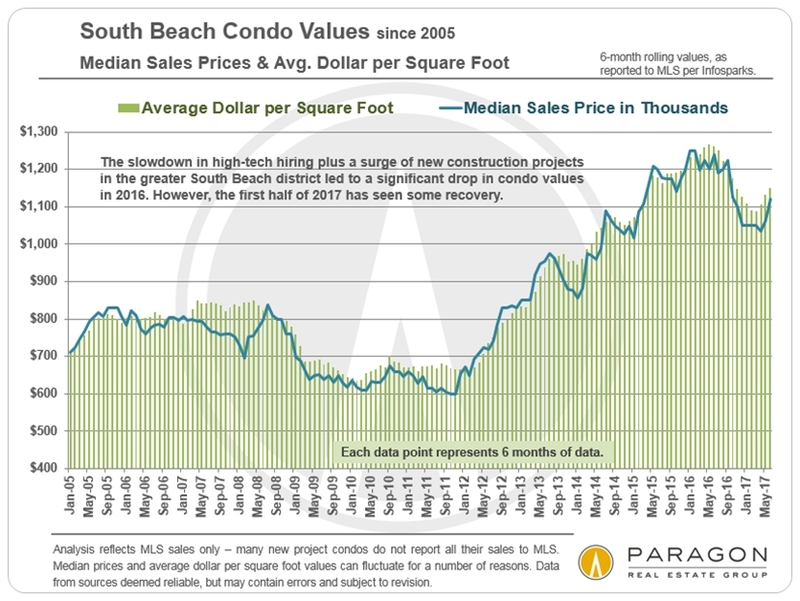 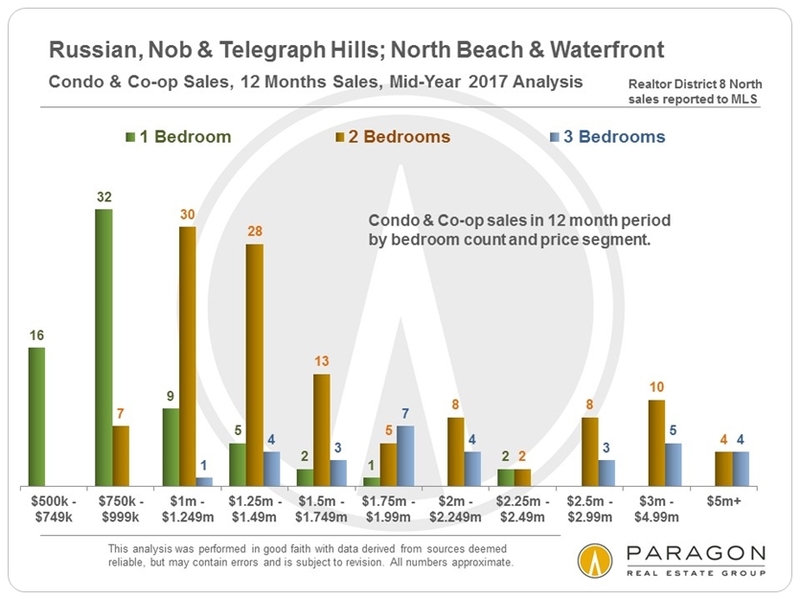 However, median house price appreciation, $100,000 above its previous high, has been more dramatic over the past 2 years than median condo price appreciation, which has mostly plateaued due to the surge in new-project condos coming on market. 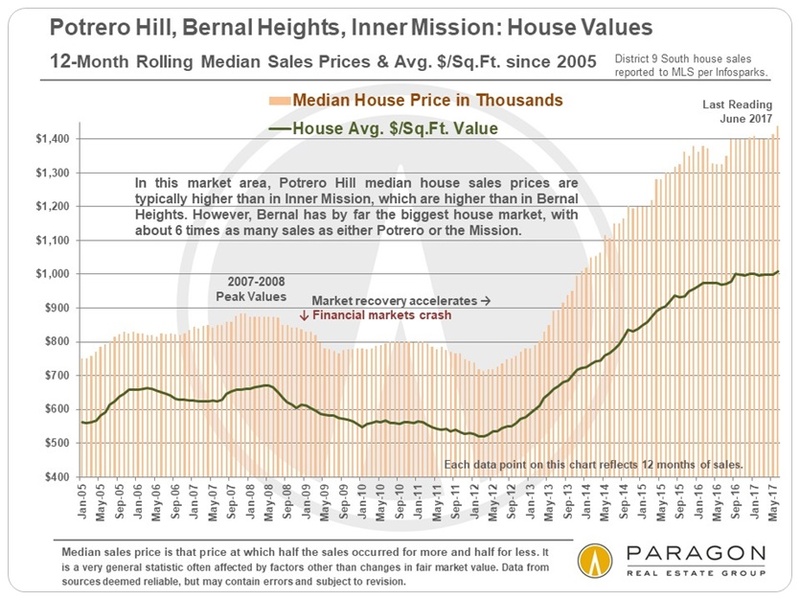 As illustrated above, it is not unusual for median prices to peak for the year in Q2, and a significant part of this dynamic, besides the competitive heat of the market in springtime, is the large jump in high-end home sales seen at this time of year. 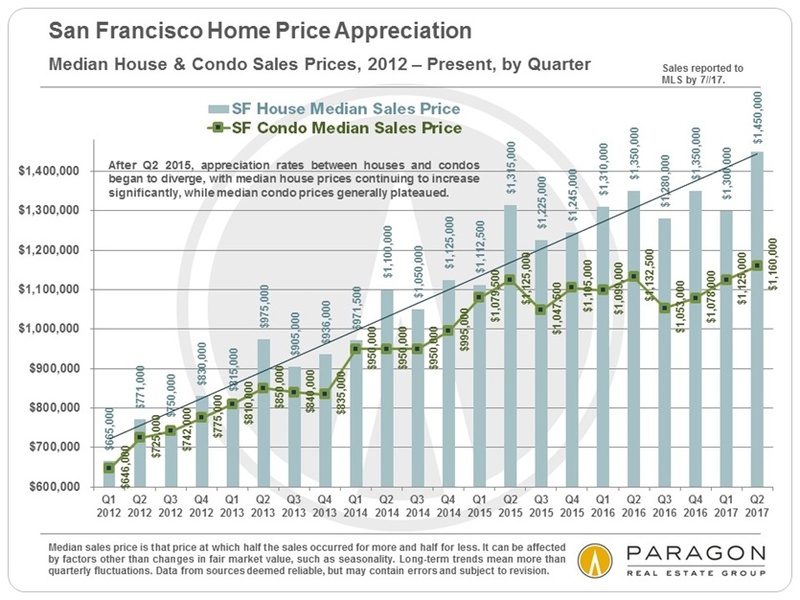 More expensive home sales closed in Q2 than in any quarter in the past. 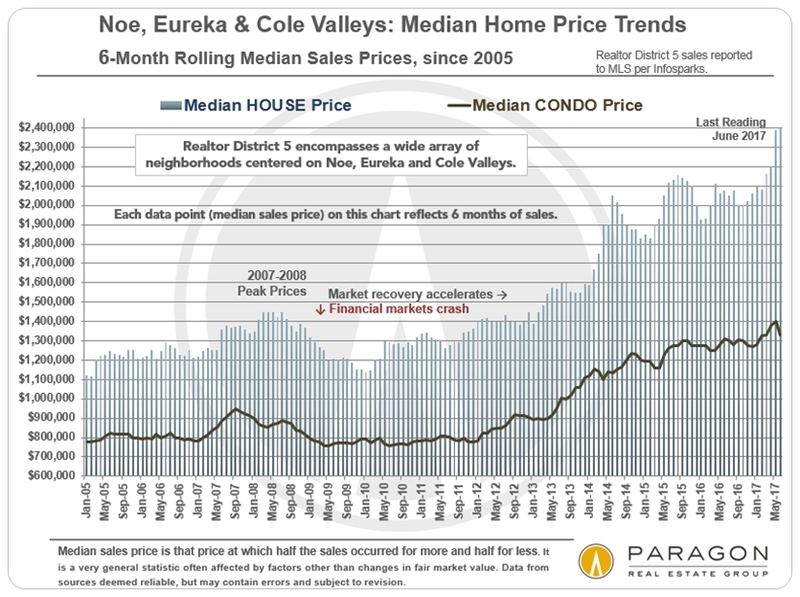 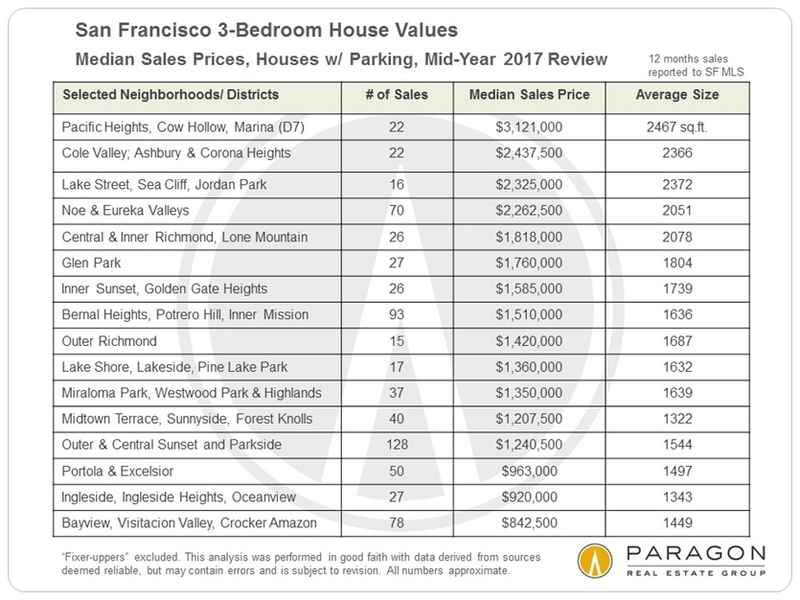 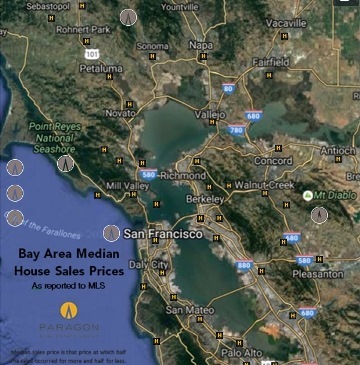 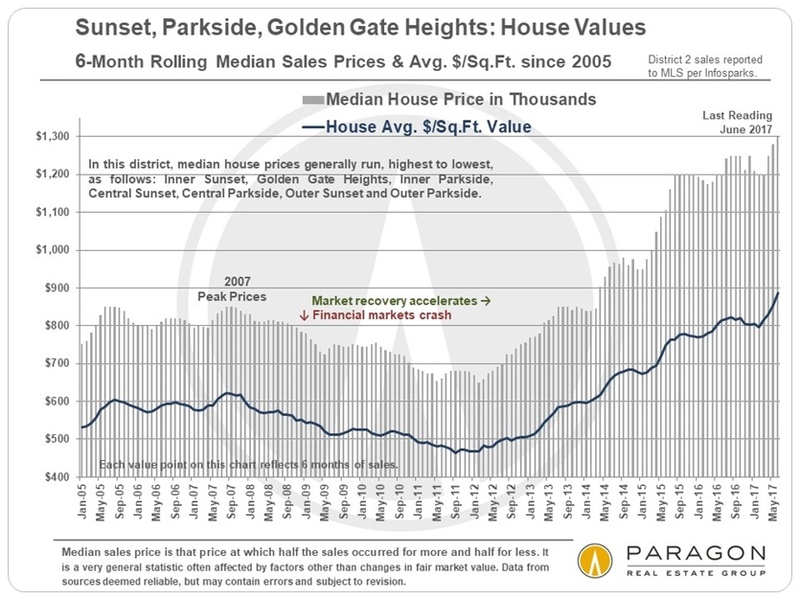 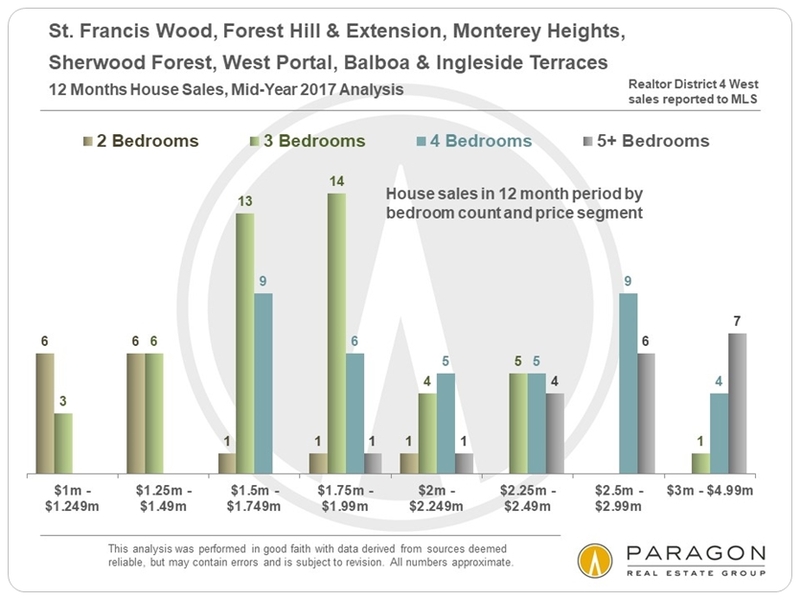 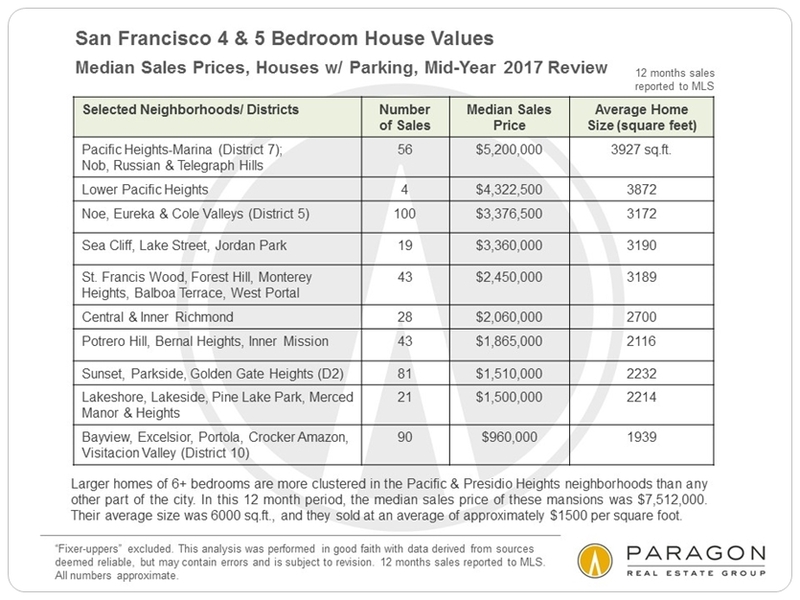 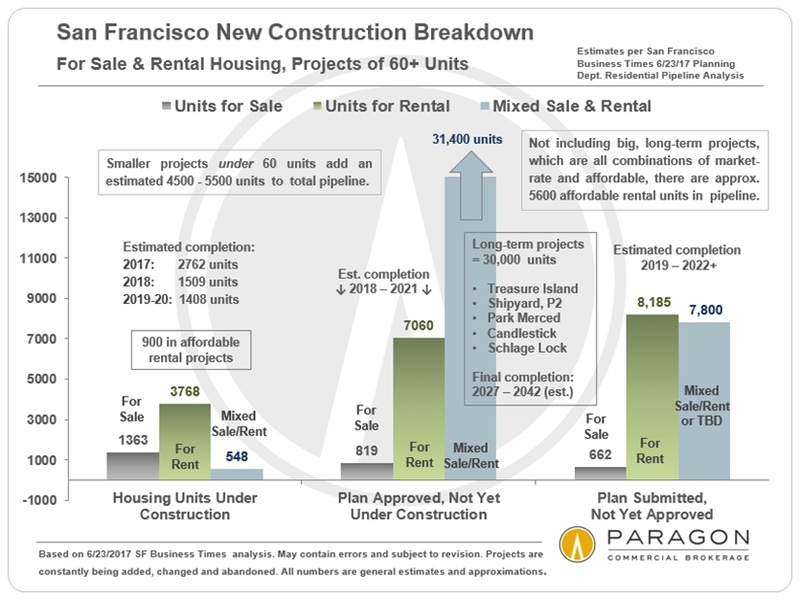 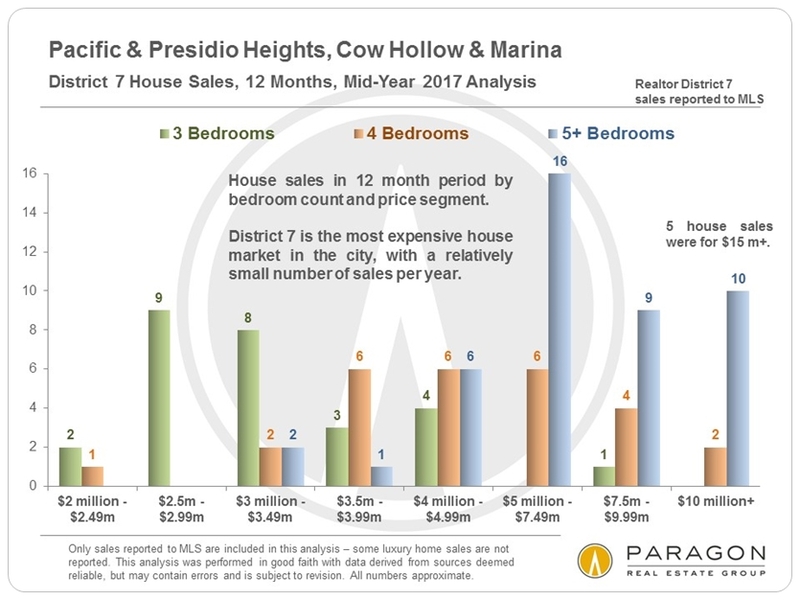 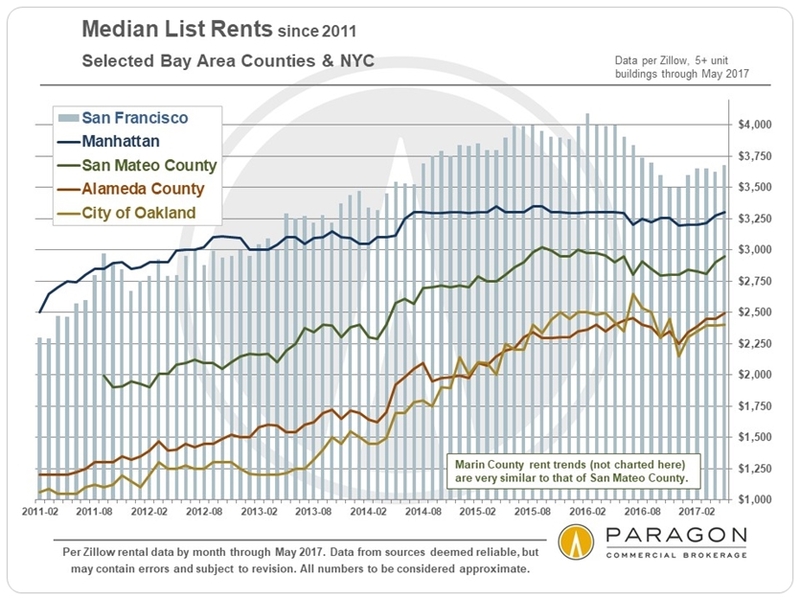 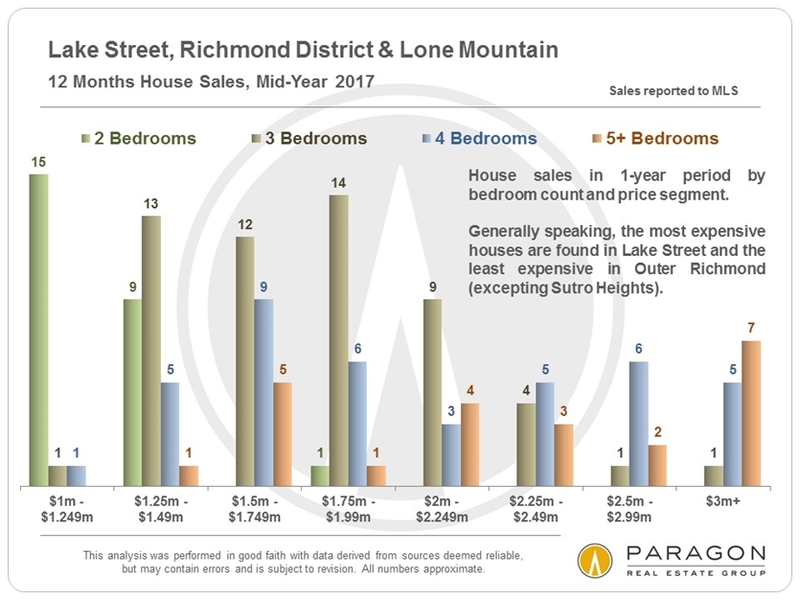 Dozens more neighborhood analyses can be found here: San Francisco Neighborhood Prices & Trends. 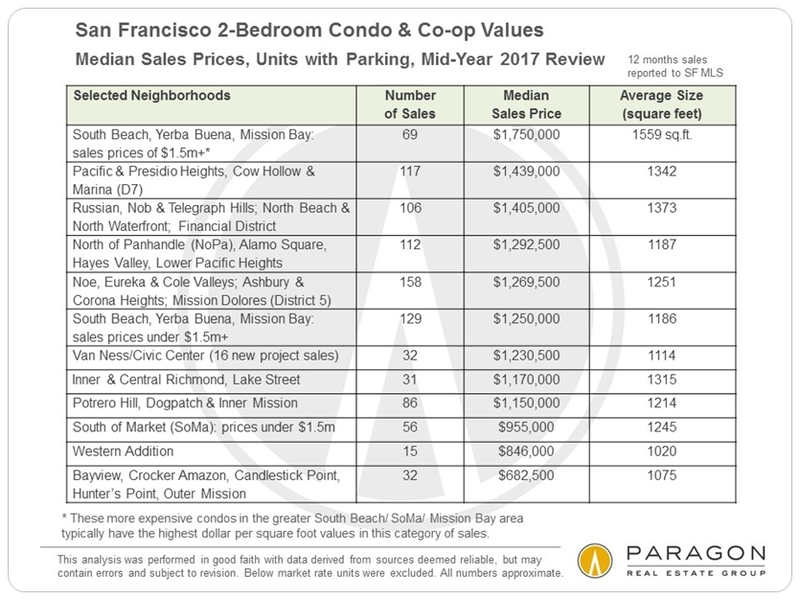 Or simply reply to this email if you would like information on a neighborhood or district not included above.